Felicia Fredlund writes in multiple genres and for both adults and young adults. Her quest is to entertain, offering her readers exciting adventures and emotional rollercoasters. Her own first adventures happened through video games and later she added on computer games as well as board and card games. 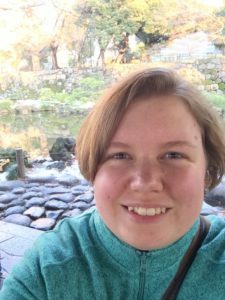 She studied game design and game programming, but switched over to more conventional computer science. Learning is one of her passions. Felicia currently has two series running: a high fantasy series called Sorceress Islands and a YA science fantasy series called Shadow Courier. She has several short stories published and more are coming. She’s also working on more series as well as more volumes in her current series. 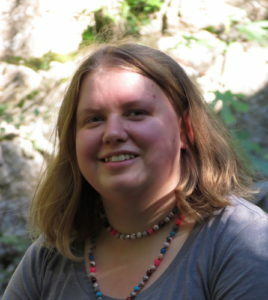 She edited Fiction River: Last Stand with Dean Wesley Smith and her story “Magic and Sacrifice” appeared in that volume. She has since appeared in several more Fiction River volumes. She didn’t like reading until she read her first great book at eleven years old: Alanna: The First Adventure by Tamora Pierce. Becoming a knight seemed like a great idea at that age. The first story she wrote (at the age of six or seven; it was also illustrated; she still has it) involved a frog who lived in discarded shoes. He needed to find a new home when his current home disappeared. The replacement home—shoe—he found was a high-heeled red shoe. She is a huge Nintendo fan and is excited whenever a new Super Mario game comes out. She loves walking and Japanese gardens. Combining the two makes any day great. She discovered paddle boarding in 2017 and thinks it is the best way to travel across water (unless you have to go really far). For the latest information on her books, join her newsletter. For a list of her books, see her books page or her bibliography.